Bring an appetite for food and ideas and depart inspired. 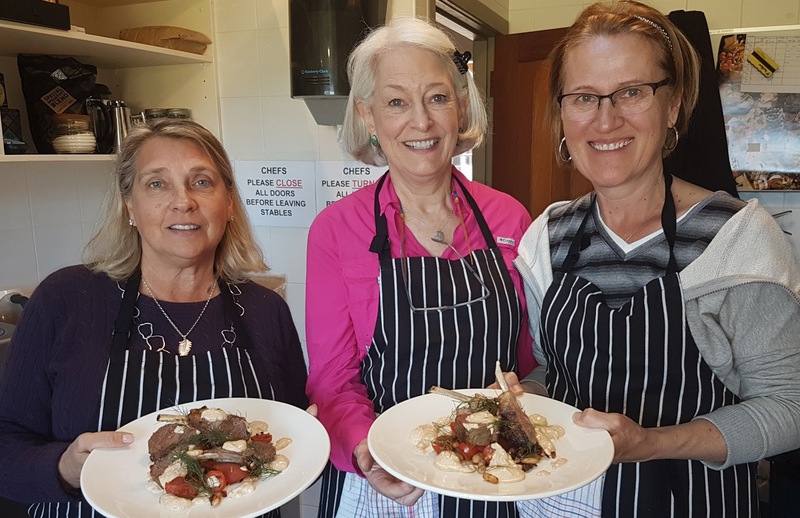 Be the star of the bake sale, create delicious Christmas treats, plate like a professional or become inspired with vegetarian cuisine… Steven Paterson, Poronui’s Head Chef, believes cooking classes should be hands-on so get ready to roll up your sleeves! His philosophy on food is source fresh local quality produce and produce true, uncluttered flavours. His trade mark is generous, interesting, tasty and beautifully presented dishes. Let Steven teach you how to perfectly plan and prepare your menu for private dinner parties, board room lunches, corporate cocktail events or simply a meal for family and friends. He takes you through each dish step by step. Sharing the dishes, created during the class, with wine to match completes the day. 1 night double/twin accommodation at the Lodge, morning tea on arrival, cooking class with Steven Paterson (Poronui’s Head Chef), lunch as part of the cooking class, light dinner that evening, country breakfast prior to departure, use of the Stables facilities – Snooker Room, Sauna, Steam Room and Gym. Prices are based on a group of 6 guests, includes all meals. Terms and conditions apply, package is subject to availability. Cancellation policy applies, we recommend taking out travel insurance to avoid disappointment.